Can you really franchise a Creative Business? 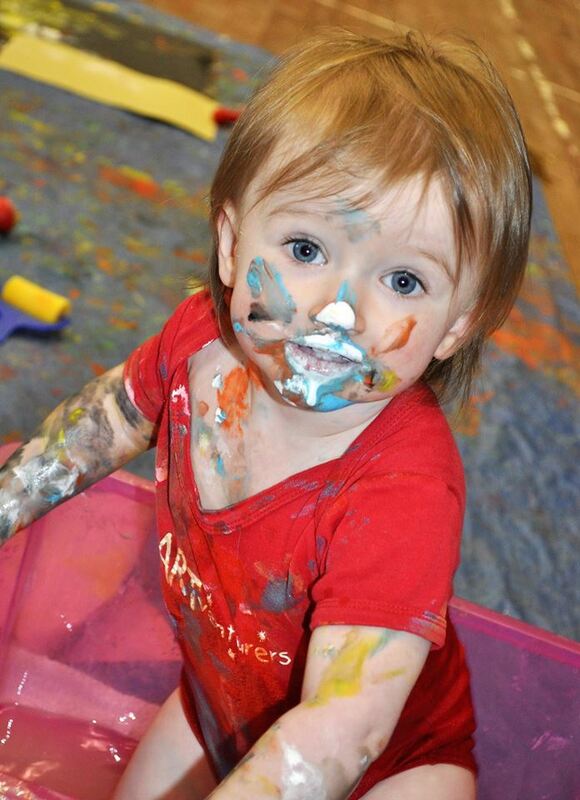 ARTventurers is a creative business – we run art classes for babies, toddlers and children, what could be more creative than that?! But can a creative business really be franchised without losing the creative heart of the business? Franchising is a method for expanding a business and distributing goods and services through a licensing relationship. In franchising, franchisors not only specify the products and services that will be offered by the franchisees (a person or company who is granted the license to do business under the trademark and trade name by the franchisor), but also provide them with an operating system, brand and support. Franchising, by its nature, therefore generally discourages innovation and creativity on the part of franchisees. Franchisees are required by their franchisors to follow very specific policies and procedures on exactly what they will sell, how they will make or deliver it, where they can and cannot trade and how they carry out their marketing. The strict adherence to brand guidelines will be one of the major keys to the success of the franchise brand – I have previously written about the importance to both franchisor and franchisee of brand consistency in marketing messages and beyond. However, for a business like ARTventurers which has creativity at its core and therefore attracts creative individuals to it as potential franchisees, there’s a real challenge if the business is to expand through franchising. Is it even possible to franchise a creative business given the structured and often rigid nature of a franchise relationship? It might be unsurprising for you to read that I firmly believe the answer is yes – it is possible to franchise a creative business successfully. However there are unique challenges that need to be addressed to ensure that the creative heart of the business isn’t extinguished as it grows, whilst also ensuring that the franchisees remain on brand and the core identity isn’t lost. As with any franchise recruitment, getting the right people on board in the first place as franchisees is fundamental. Creative minded people often are deterred from exploring franchise opportunities in the first place, fearing that they won’t have enough flexibility to stretch their creative muscles. However, creative individuals can make fantastic franchisees – not only do they have the inherent passion about what they do to communicate to and enthuse their customers and build a successful business, they’re also able to think outside of the box when it comes to marketing and promotion too, helping them to stay ahead of the rest and stand out among the crowd. On the flip side though, it’s vital to ensure that franchisees from the very outset understand the importance of and respect the wider brand identity and message, being clear that any creative flexibility on their part must remain within strict parameters. It’s important to select franchisees who ultimately share the core values of the franchise brand so that everyone is working towards the same common goal. As a franchisor, having a franchise network that is buzzing with creative ideas and energy can be your biggest asset and one to be ignored at your peril. I believe the key to successfully franchising a creative business is empowering franchisees with the opportunities to be involved in the creative development aspect of the business, encouraging them to innovate and share ideas. Within my own business, we make sure that our franchisees have fully mastered the basics first with our support and training, and of course it goes without saying that there are certain aspects of the brand, product and service which must never be tampered with. Consistency in brand marketing and messages remains vital. However giving franchisees the opportunity to put their own creative stamp onto certain aspects of their business not only satisfies their creative flair and needs, but also means that they continue to be passionate and enthused about what they do and feel valued as part of the wider business therefore producing excellent franchisee retention rates. And harnessing a franchisee’s creativity and taking a collaborative team approach to business development with their input and ideas means that the brand is constantly moving forward, innovating and evolving rather than plodding along – essential as a company in an increasingly crowded marketplace. Communication is also a necessary foundation to successfully franchising a creative business. Making sure that there is an open and honest relationship between franchisee and franchisor results in franchisees having the confidence and feeling supported to implement creative ideas of their own in a transparent fashion. Encouraging creativity with a high degree of transparency is vital because that is what allows the organization as a whole to see what is working and what is not, identify where franchisees may be going “off piste” and need to be steered back in and other compliance issues, and provides the brand with valuable insights into customer responses. Of course this approach to franchising won’t work for every brand, and I can imagine that some elements of this article may strike fear into the heart of some franchisors! The key must be communication and clear guidelines with a real ethos of teamwork within the franchise network. Staying consistent with the core components of your brand doesn’t mean that you can’t keep the creative heart of your business alive – with the right framework in place I firmly believe it is possible to franchise a creative business in a way that benefits both franchisor and franchisee, producing an extremely exciting opportunity for both parties. In the past decade, there has been a significant increase in the number of women business owners generally – in the USA more than 11.6 million firms are owned by women, and female-owned businesses now account for 39% of all privately held firms. (Statistics from the American Express OPEN Report “The State of Women-Owned Businesses 2017”). And franchise experts report a rising trend in women entering the world of franchising. In the UK women now account for nearly 25% of franchisees and the International Franchise Association is seeing a similar shift. Women owned 27 percent of franchise locations in 2017, it says, compared with 20.5 percent in 2007 – and that doesn’t include another 17% of the population where men and women operate franchises together as partners. Between 2011 and 2017, female franchise ownership jumped by 83 percent, while male ownership only increased 13 percent, according to FranNet, the US based franchise consultancy. So what is it about the world of franchising that holds such an appeal to a skyrocketing number of female business owners? One common held belief is that many women are attracted to franchise opportunities in part due to skill sets and personality traits. Female business owners tend often to be more financially cautious and therefore the lesser element of financial risk often associated with buying into a franchise of an already well established brand may have significant appeal over starting up a business from scratch. Women generally have strong communication skills, are good networkers and take a collaborative approach to working. These are traits which not only make them excellent franchisees with the key skills to engage their target market and grow their businesses, but which also mean that women are likely to be drawn to the idea of joining an established franchise network and working as part of a team, being in business for themselves but not by themselves. In addition, an increasing number of women are seeking flexible careers outside of the traditional nine to five role. Franchising is seen as a route to building a flexible business around family life or other caring commitments, with the support of the franchisor and management team. The speed at which a franchisee is able to be up and running with the new business as it is a tried and tested business model is also therefore an appealing factor. The growth in the number of female franchisees is also likely to be attributable to the wider variety of business sectors entering the franchise world, particularly those which tend to attract women. I previously wrote for Forbes about the franchising boom in the children’s activity industry – an industry which certainly does currently attract more female than male franchisees. Similarly domestic and caring based businesses are taking up an increasing share of the franchise market and are also historically more likely to attract female franchisees. In addition, it is considered to be the case that women may often choose a business based on their own interests or it’s “purpose” rather than simply on financial prospects alone – and again there are an increasing number of franchises available covering areas such as art, food and drink, tutoring and sports. Many female franchisees will report that the reason they first investigated their particular franchise opportunity was because they were attracted by the product or service. One other factor must be the emergence of networks and schemes specifically set up to encourage women into franchising such as EWIF, the IFA’s Women’s Franchise Network, and the British Franchise Association’s Women into Franchising initiative. Networks and initiatives such as this have not only raised awareness of franchising amongst women generally, but have resulted in a trend towards more franchisors specifically targeting women in their franchise marketing. Fiona, the founder and MD of ARTventurers is a Forbes Contributor and regularly writes on issues surrounding franchising. 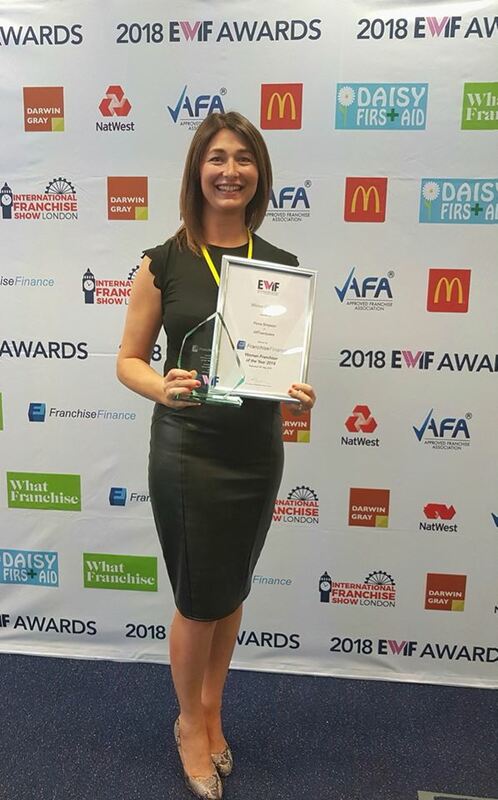 ARTventurers Managing Director Fiona crowned Woman Franchisor of the Year 2018! Every year EWIF holds an annual award ceremony designed to bring together the best women in the franchising industry to celebrate their successes. EWIF’s 2018 Awards brought together over 150 franchise professionals to celebrate women in franchising. As it was their 10th anniversary year this was a celebration not to be missed by the franchise industry – a true celebration of women and their place in the world of business! 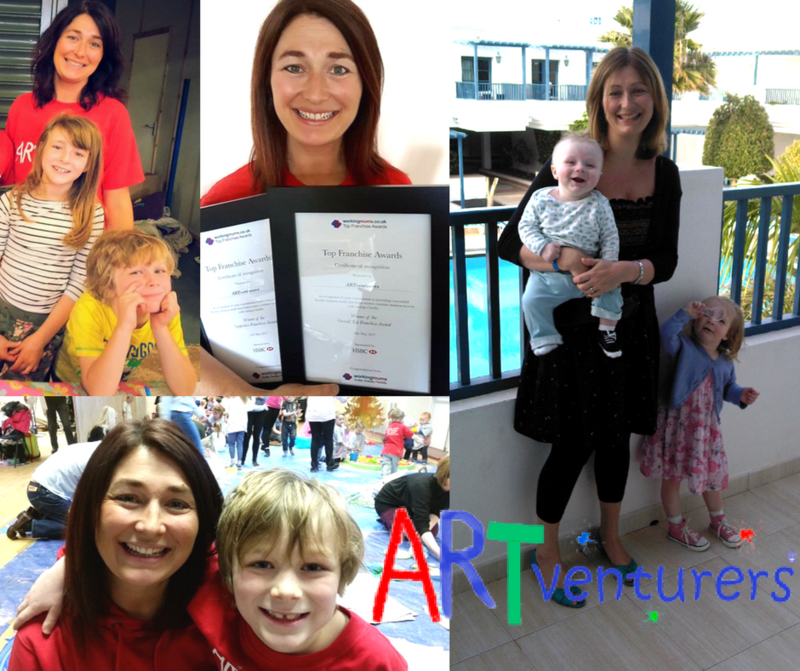 Fiona and the whole of the ARTventurers Team were thrilled and very proud when she was announced as Woman Franchisor of the Year 2018 – recognising the dedication, hard work and commitment that goes into supporting our growing team of ARTventurers franchisees and ensuring that ARTventurers continues to grow and develop as a flexible, innovative and creative brand with family friendly policies at it’s very core. To find out more about ARTventurers award winning franchise packages click HERE. Exciting ARTventurers Franchise Opportunities in Manchester! 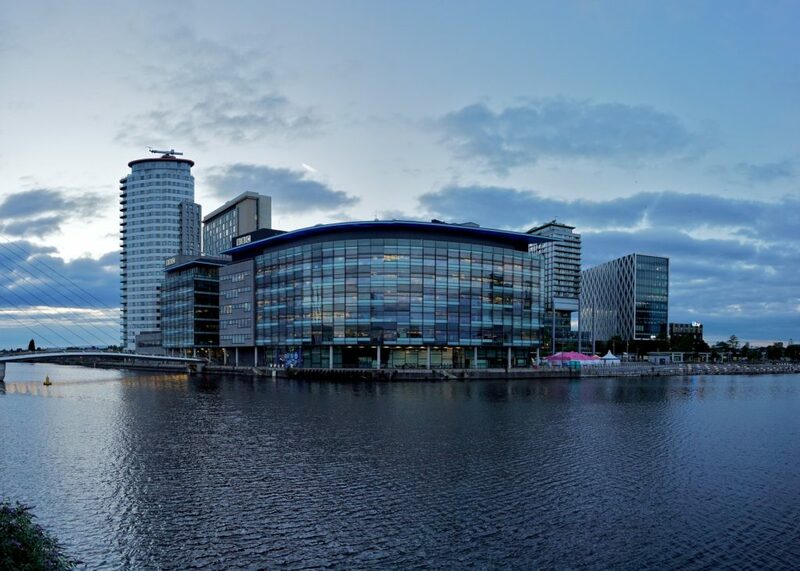 Do you live in Manchester? Are you creative, ambitious and passionate about working with children? Would YOU love to own a flexible and family friendly business running award winning art and creative play classes for children? If the answer to those question is a big “YES”, we have a franchise opportunity in Manchester perfect for you. Message us to request a copy of our ARTventurers Franchise Information Pack and find out how YOU could join the ARTventurers Team as our newest franchisee! As our ARTventurers franchise network expands, we’re looking for the right person (or persons!) to launch our first ARTventurers franchise opportunities in Manchester! It’s an exciting opportunity to join our award winning team and launch a fun, flexible business with the support and backing of our nationally recognised and leading brand! Many of our franchisees are parents, successfully building their businesses around family life as our innovative franchise package allows them to grow and develop their business at their own pace. So if you want to take this amazing franchise opportunity in Manchester and you could see YOURSELF being part of the ARTventurers Team as a franchisee then request a copy of our information pack and find out more! 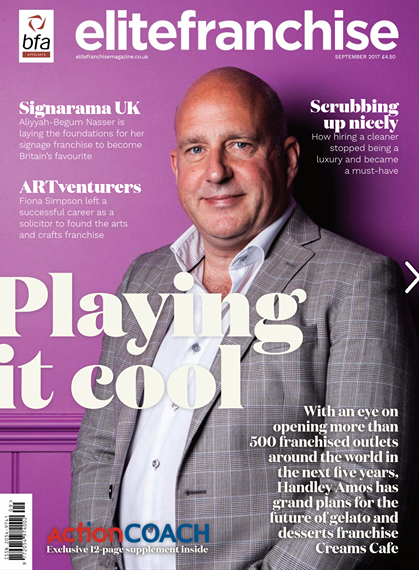 ARTventurers Franchise Opportunities featured in Elite Franchise Magazine! 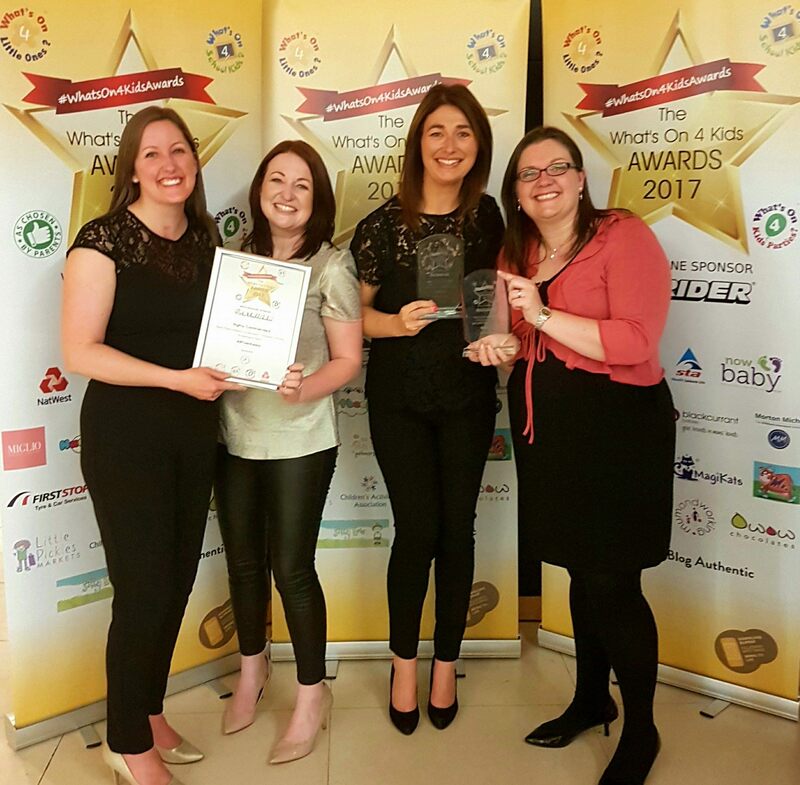 ARTventurers wins Overall Top Franchise 2017 in the Working Mums Awards! 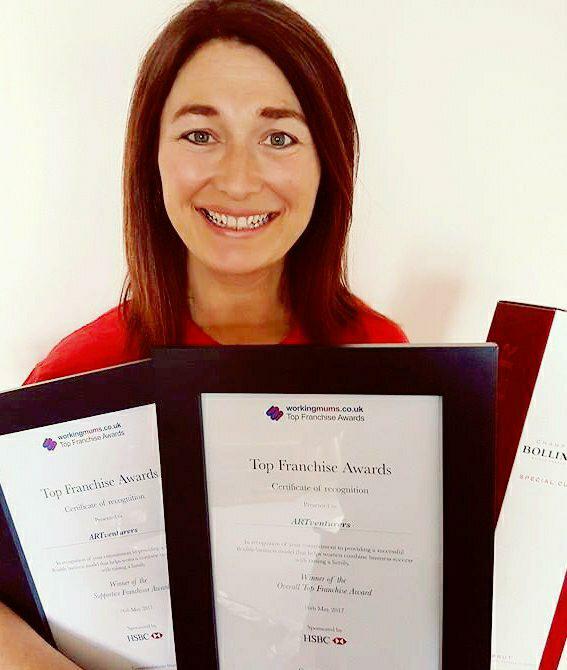 We were over the moon to have won not only Most Supportive Franchisor 2017 but the Overall Top Franchise Award 2017 in the Working Mums Top Franchise Awards! “Creative kids franchise ARTventurers was named Overall Top Franchise at Workingmums.co.uk‘s first Top Franchise Awards this week. The Awards, sponsored by HSBC, celebrate the best family friendly franchisors and franchisees. They recognise franchisors both big and small who have empowered women in business – not only by providing a successful flexible business model, but by giving franchisees the advice and support they need to succeed. Twenty-three franchises and 30 franchisees were shortlisted for six categories and the top franchise award was chosen from the winners of each of these. ARTventurers was named Overall Top Franchise with the judges saying it had created a family friendly, supportive business model and had not only won one award, but had performed strongly across all the categories it had entered. The judges praised its support for maternity leave, which was something many self employed women struggle with and said they felt other franchises could learn from the kind of engaged, flexible business model it offered. The awards were judged by Kendall Braddock, Franchise Director of HSBC Bank plc, franchise law expert Amy Leite, Senior Associate at Pinney Talfourd LLP Solicitors, Griselda Togobo, Managing Director of Forward Ladies who are partners for the Awards, and Gillian Nissim, Founder of Workingmums.co.uk. The ceremony on Tuesday included an awards presentation and a Q&A session with franchising experts. Supportive Franchisor Award – ARTventurers. One of the questions I hear asked a lot is – what exactly is a Franchise? Put simply, when someone joins a franchise business they become self employed and buy the right to use the parent company’s name and trademark, their operating procedures, knowledge and expertise, to become part of a wider team and to receive ongoing support during the lifetime of their business. Some people describe a franchise as a “business in a box” – it’s a way of being able to get up and running and earning money from your business quickly, with the security of being part of an established brand. At ARTventurers, we’ve been offering franchise opportunities to the right people for our brand since 2015 – although we’ve been in business for a lot longer than that! When I made the decision to franchise ARTventurers, it wasn’t an easy decision to make and one that I thought long and hard about. 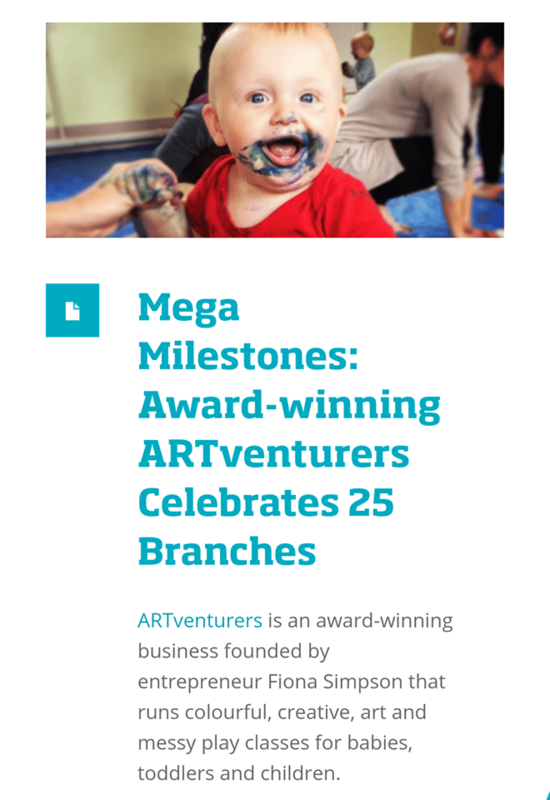 ARTventurers is very much my third baby and I wanted to make sure that if we went down the franchising route that it was done properly and that we were confident it would work! So we spent a full year trying and testing the model before we launched the full franchise package so that we could be sure that ARTventurers COULD work for other people in other areas of the country! We also spent time carefully developing our ARTventurers package. Our approach to franchising at ARTventurers is quite non-traditional and is very flexible – in line with our entire company ethos! Our franchise package is transparent and straightforward in our pricing (no hidden charges, percentages or sneaky levys here!) and we actively embrace our franchisees own creativity, making our approach very collaborative and team focused. We’re a fun, flexible and of course CREATIVE business so our attitude to franchising reflects this! One thing that we invest very heavily in at ARTventurers is support for all of our franchisees. 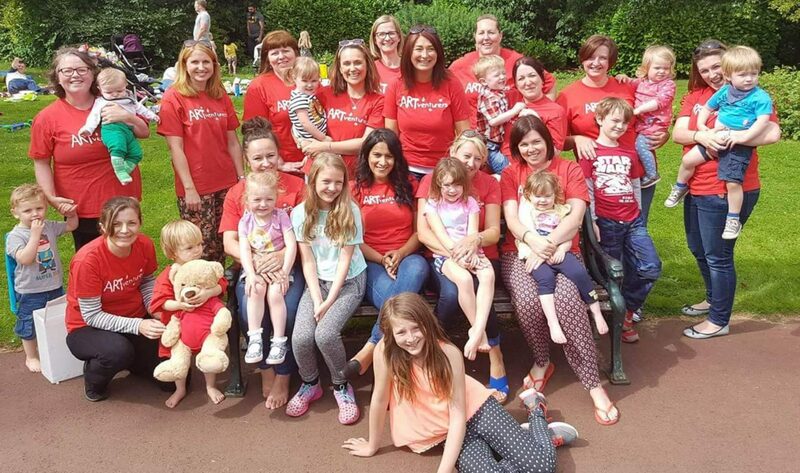 We were thrilled to have won the Supportive Franchisor of the Year 2017 in the Working Mums Awards recently (as well as Overall Top Franchise 2017!) and the judging panel praised our flexible and innovative support package for all members of the team throughout their business journey. 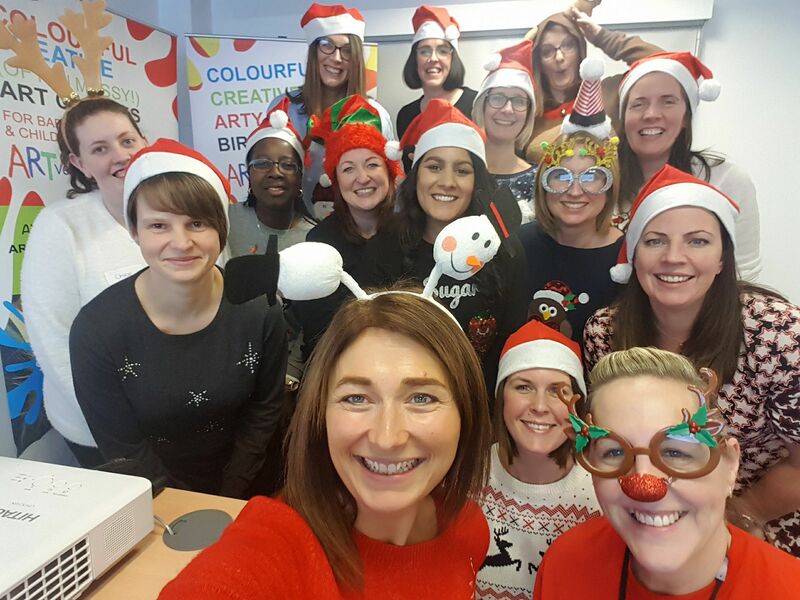 I’m such a firm believer in the power of team work and working together – and I think that all of our ARTventurers franchisees would tell you how invaluable it is being part of a supportive, friendly team where everyone is in the same boat and working towards the same goals! It means you’re never alone – there’s always a team behind you as you launch and grow your business, cheering you on and lending a hand if you get stuck! There’s a real boom in the UK franchising market at present and studies do show that franchise businesses have a higher success rate than independent businesses going it alone for the very reasons set out above – the support structure and tried and tested procedures and expertise behind the franchisee. Book a space on our next franchise discovery event! Copyright © 2019 ARTventurers Franchise Opportunities. All rights reserved.